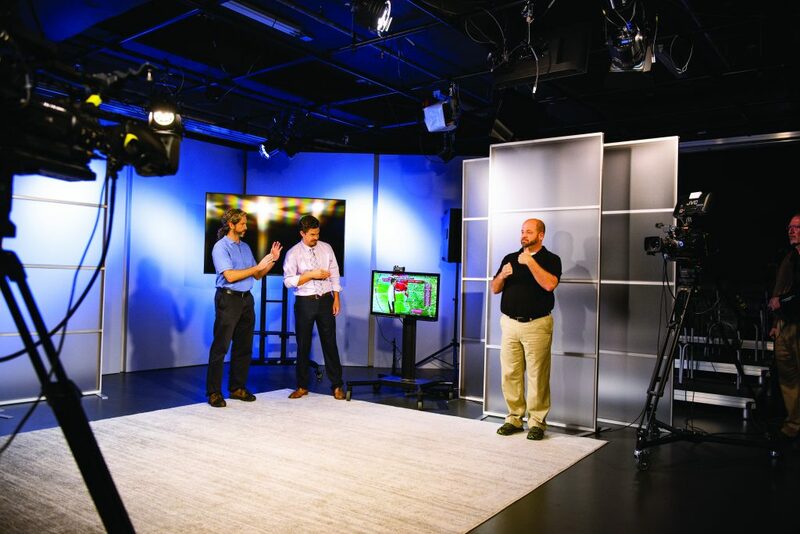 Jason Senkbeil (left) and Darrin Griffin work with Alabama Institute for Deaf and Blind Interpreter Gary Crook to prototype test their American Sign Language interpreting system. Severe weather emergencies affect millions of people around the world every single year. In the past decade, storms like Irma, Sandy, Harvey, Florence and Michael have left lasting impacts from the damage they caused in local communities. Tuscaloosa, Alabama is no stranger to severe weather, still bearing scars from its tornado super outbreak in April 2011. Whatever the issue—flash flooding, tornadoes, hurricanes or hailstorms—communicating severe weather alerts is at the core of ensuring public safety and saving lives. Understanding how weather alerts work and the varying levels of impact they have on different populations provides a challenge for meteorologists and municipalities alike. What is the most effective medium for their given constituency? And how do they reach less-represented, vulnerable populations within their citizenry? These are the kinds of questions researchers are asking at the College of Communication and Information Sciences, and now they have secured the funding to find the answers. such researcher. In collaboration with The University of Alabama’s Dr. Jason Senkbeil (College of Arts and Sciences) and Mississippi State University’s Dr. Kathy Sherman-Morris (Department of Geosciences), Griffin’s team received a grant of more than $250,000 from the National Oceanic and Atmospheric Administration (NOAA) to conduct research on the accessibility and comprehension of tornado warnings among Deaf, Blind and Deaf-Blind populations in the southeastern United States. do not translate effectively. Griffin’s team wants to change that, making broadcasts more effective for all people. and Creative Media) are tackling a similar issue. 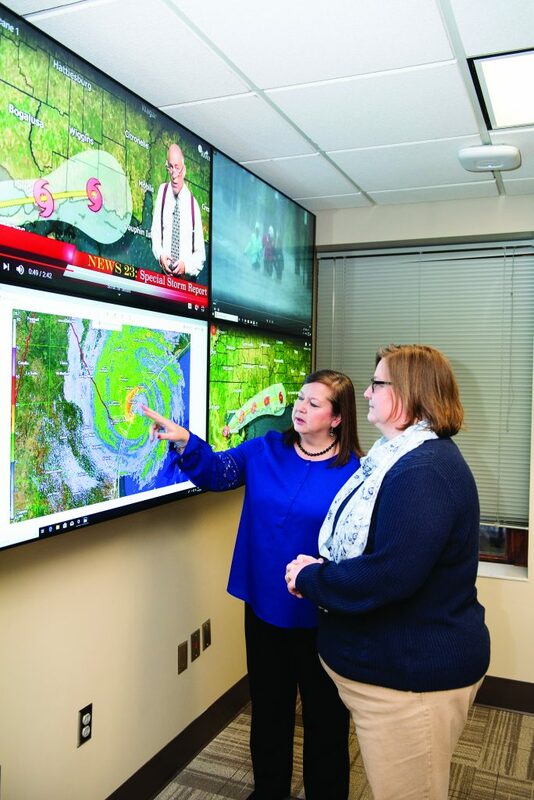 Funded by the Alabama-Mississippi Sea Grant Consortium, their research is investigating the effectiveness of different types of weather alerts and how those messages motivate citizens to action in rural and urban communities. what makes them take action. with understanding how the audiences process the information and discovering how to change the message in ways that improve their comprehension. Clark developed six different visual elements of weather broadcasts that were shown to cross-sections of the population in Biloxi and Pearlington, Mississippi, and Mobile and Magnolia Springs, Alabama. From there, Armstrong asked the subjects to evaluate which models would most likely motivate them to seek shelter from a severe weather event, namely tornadoes and hurricanes. Now, Armstrong is analyzing this data to develop guides for broadcasters, media personnel and meteorologists about effective ways to reach rural populations during severe weather outbreaks. an audio weather broadcast to followers. 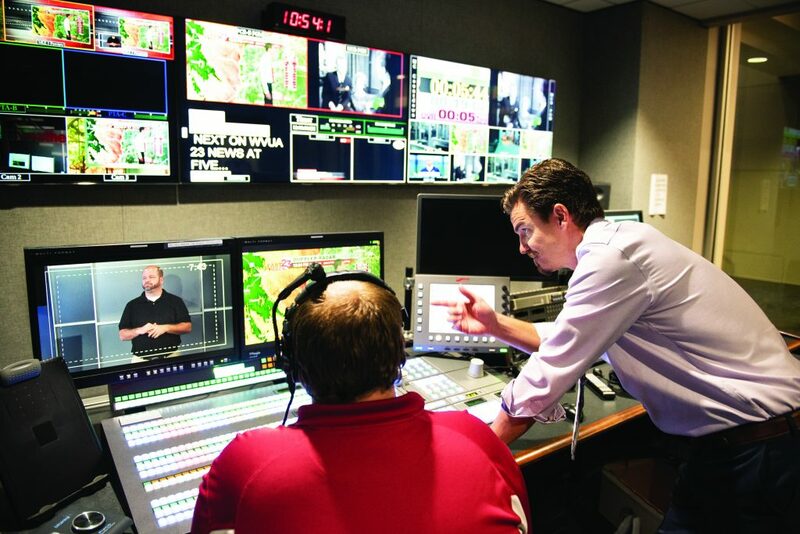 The concept features a picture-in-picture broadcast that enables the Deaf population to view the broadcast alongside an ASL interpreter. However, the benefits for this study go far beyond building and testing this system. 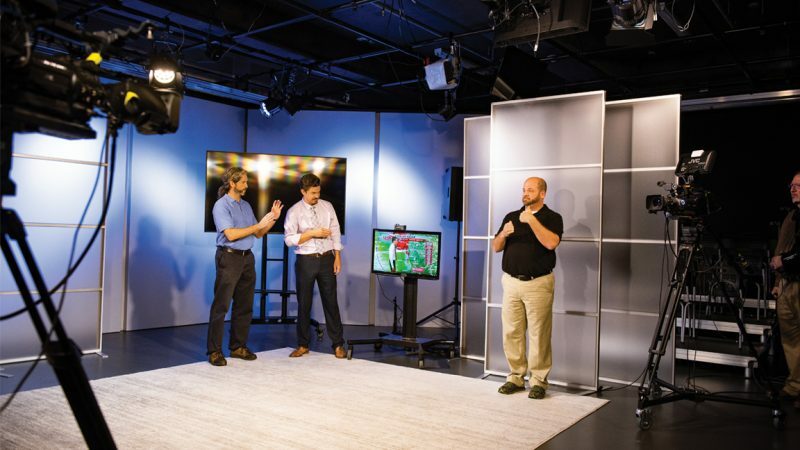 Researchers will conduct interviews with people in the Deaf community in the Southeast and use the information to offer valuable feedback to on-air meteorologists as to what language is most effective in communicating with a variety of audiences. “Can we tighten up the bolts on the verbal message? Saving lives and improving their quality are important parts of any scientific discipline. Whether the issue at hand is communicating effectively about severe weather to rural and vulnerable populations or any number of other life-changing advancements in communication, researchers at C&IS are a crucial element in the scientific process. And the College is growing in its impact. In 2018, C&IS had 17 funded Research Grants Committee (RGC) proposals making it the top RGC-funded college at The University of Alabama. These numbers reflect the disciplines’ significant influence as well as the role communication plays as a part of the greater research culture on campus. Right now, C&IS researchers have active relationships with their colleagues across campus in the College of Engineering, College of Social Work, College of Arts and Sciences and the College of Human Environmental Sciences. These relationships fuel creative, multi-disciplinary problem solving to improve lives in the community for generations to come. The Alabama Forensic Council celebrates a fourth-place finish at the AFA-NIET in Tuscaloosa. 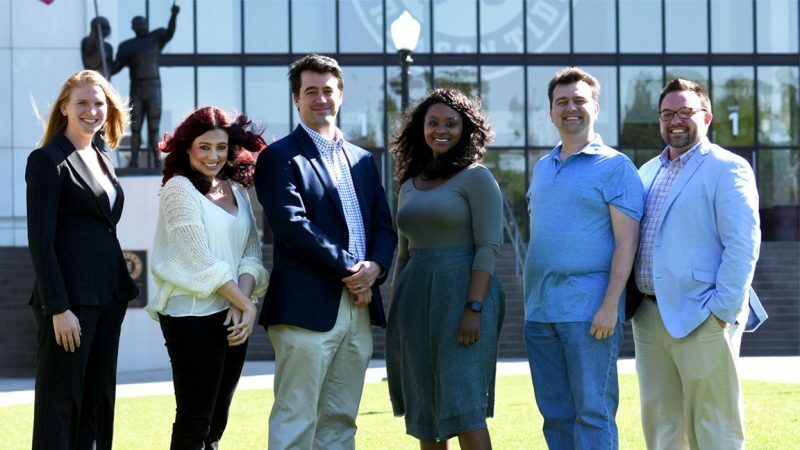 The Alabama Forensic Council finished in fourth place at the 2019 American Forensics Association National Individual Events Tournament (NIET) this past weekend in Tuscaloosa. 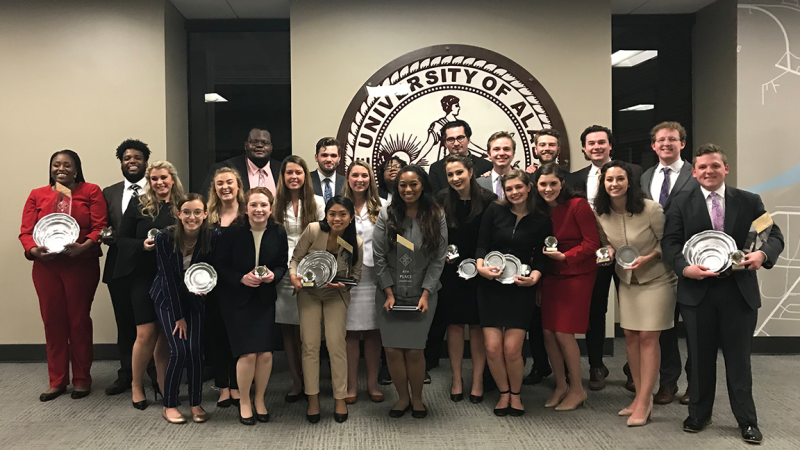 This marks the third consecutive year that the Alabama Forensic Council has placed in the top five teams in the nation and UA’s third time hosting. The tournament featured over 400 students from 60 schools and is centered around facilitating and celebrating speech education excellence at the intercollegiate level. The NIET is held every April and brings students from across the nation to compete for national championships in 11 events. Students reach the NIET through a rigorous at-large and district qualification system verified by organizational officers. In addition to placing fourth overall, the Alabama Forensic Council had its most successful tournament yet in terms of students advancing to elimination rounds 14 of 25, the number of overall events advancing to elimination rounds, 28, and the overall number of events in final rounds, 12. 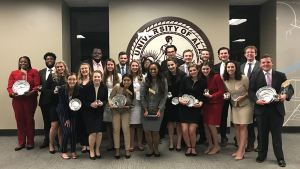 Among University of Alabama top finishers, senior Alexis Simmons (Montgomery) earned the National Championship in Poetry Interpretation, and senior McLean Stewart (Montgomery) earned the national championship in After Dinner Speaking and was named to the AFA-NIET All-American Team. Additionally, Danielle Pacia (Morristown, TN) finished second in Informative Speaking. Founded in 1946, the Alabama Forensic Council is the oldest co-curricular organization at The University of Alabama. 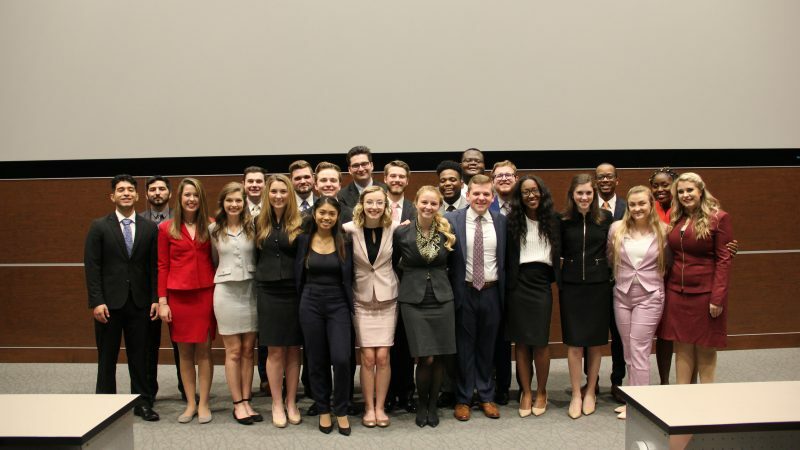 The Alabama Forensics Council boasts 21 forensic national championships and is housed by the College of Communication and Information Sciences and is open to UA students of all academic disciplines. 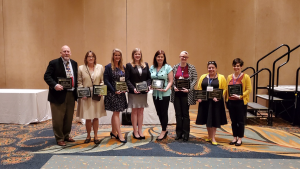 Kiley Lord, a senior in the College of Communication and Information Sciences (C&IS), was recently awarded the Franklin Shirley Award for the Top Undergraduate Honors Conference Paper at the Southern States Communication Association (SSCA) Convention this past weekend in Montgomery, Alabama. The convention’s purpose is to promote the study, criticism, research, teaching and application of the artistic, humanistic and scientific principles of communication. SSCA is a nonprofit organization that exists for educational, scientific and literary purposes only. Lord’s research specializes in a popular Youtube series titled “S— Southern Women Say” and examines gender roles and expectations for women in the south. She postulates her research on the idea that gender is something that people perform and points to examples in the Youtube series as being representative of cultural norms compared to other regions in the United States. Lord grew up in Connecticut but spent her summers with family in Mississippi. This upbringing sparked an interested in the duality of cultural norms in the south vs the east coast. Lord first explored this topic in the Spring of 2018 in Dr. Jessy Ohl’s class and was encouraged to develop her research about ideological arguments more. Over summer, Lord spent time researching communication theory, reading both fiction and nonfiction accounts that documented women in the south and connecting how the Youtube series reflected expectations of the region. Her paper concluded that the series is not inclusive of the entire spectrum of southern women. It is limited to the life experience of wealthy, white, Christian women and does not account for other races, religions or genders. “This conference was a great fit for my area of research, and I am grateful for Dr. Ohl’s assistance in editing back and forth,” said Lord. “So much of my enthusiasm for this research has come from Dr. Ohl’s encouragement and feedback. I was intimidated by the idea of doing undergraduate research, but now I am considering doing research at the master’s level. Lord received a monetary award and a plaque in addition to presenting her research in the undergraduate research forum on April 6. In striving to develop global leaders who do the extraordinary across the full communication and information spectrum, the C&IS passion project for Bama Blitz 2019 is the inaugural C&IS Student Leadership Retreat. Starting with the central student leadership groups in C&IS, the College will launch the first-ever C&IS Student Leadership Retreat in Fall 2019. The C&IS Student Leadership Retreat will empower students through leadership programming that encompasses communication, diversity and collaboration. At this two-day retreat, students will become part of a network of peers who will understand their individual and group impact on the C&IS community and beyond. To support student leadership development efforts, C&IS wants to fund 50 students to be part of the C&IS Lead Retreat and future student leadership workshops open to all C&IS students. The goal for Bama Blitz is $10,000. 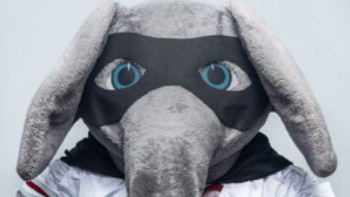 Bama Blitz 2019 will kick off on April 10 at Noon and conclude on April 11 at 8:31 p.m. Students, Alumni and friends of C&IS can help by making gifts at the link below and using #BamaBlitz on social media to share the differences C&IS has made in their lives and careers. 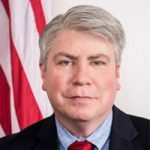 Since graduating from The University of Alabama in 1991, Jeff Emerson’s career led him to work in the halls of Congress, the Alabama Governor’s Office and currently the Executive Office of the President of the United States. Since January 2018, Emerson has worked in the executive office of the president as deputy U.S. trade representative for public and media affairs. In this position, he develops and executes strategies to communicate the president’s trade agenda and U.S. trade policy. 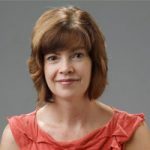 Terri Troncale began her career in 1980 as a copy editor for The Birmingham News and would continue there for 14 years working as a reporter, editor and columnist. After serving briefly as an assistant regional editor for the Orlando Sentinel, she began working as the deputy editorial page editor for The Times-Picayune in 1996. She would take over as editor in 1999. Troncale shared in the 2006 Pulitzer Prizes for public service and breaking news reporting with her colleagues at The Times-Picayune for their work during and after Hurricane Katrina. Additionally, Troncale was a finalist for the 1994 Pulitzer Prize in editorial writing for a series on the needs of Alabama public schools, alongside three other Birmingham News colleagues. 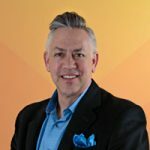 As Senior Director of Innovation at Avanade, Curt Galusha leads market-facing digital innovation for the world’s leading brands and institutions. He focuses on his creative strengths: pioneering breakthrough customer experiences, user experience, digital marketing, strategy and brand expression. He is an expert at applying emerging technologies in relevant ways to elevate brands, improve customer experiences, increase revenues and drive business success. As a seasoned global marketer, Galusha has worked for more than 20 years with teams and clients worldwide. 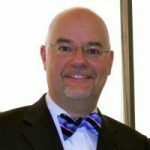 Lee Mayfield is the Director of Forensics at James Madison University in Harrisonburg, Virginia. Throughout his decorated coaching career, he has coached a national finalist in every one of the eleven events offered by the American Forensic Association National Individual Events Tournament (AFA-NIET). He coached national champions in program oral interpretation, poetry interpretation and dramatic interpretation for James Madison University and dramatic interpretation for The University of Alabama. 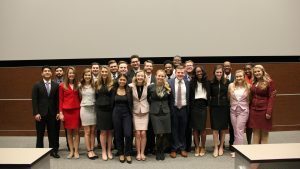 He is currently the chair of the AFA-NIET whose national tournament is being hosted for the third time by The University of Alabama this month. 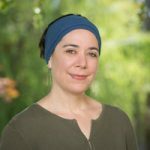 Inge Bruggeman is an assistant professor at the University of Nevada Reno (UNR) where she is area head of its new book and publication arts program. She also directs the activities of the Black Rock Press which has been a staple of UNR for almost 50 years. Additionally, Bruggeman acts as editor in chief of the academic journal for the College Book Art Association and occasionally writes for professional journals such as Parenthesis: The Journal for the Fine Press Book Association and Hand Papermaking. 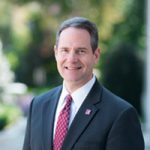 Bob Pierce is Vice President for Advancement at The University of Alabama, a position he has held for the past three and a half years. Since his arrival at the Capstone, significant operational improvements have been made in the Division of Advancement and two record fundraising years have been completed, including the most recent fiscal year which saw more than $224 million raised, an increase of almost 80 percent over the previous record. He holds a bachelor of science degree in business administration from the University of Southern Mississippi and a master of arts degree in advertising and public relations from UA where he was recognized with the outstanding graduate student award in advertising and public relations in 2003. Sharon Tinsley has served as the president of the Alabama Broadcasters Association since 2005. She also serves as president of the National Alliance of State Broadcast Associations (NASBA)—a group comprised of her counterparts from across the country. Before coming to the ABA, she served as a board member of the broadcasters’ associations in Florida, Louisiana and West Virginia. She is a board member of the National Academy of Television Arts and Sciences (NATAS) chapter of the mid-South and is vice president for the Alabama region. 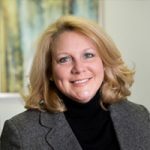 She also serves on The University of Alabama College of Communication and Information Sciences board of visitors, including a term as president from 2012-2013. From Left: Leah LeFebvre, Becky Britt, Scott Parrot, Robin Boylorn, Brian Britt and Matt VanDyke. 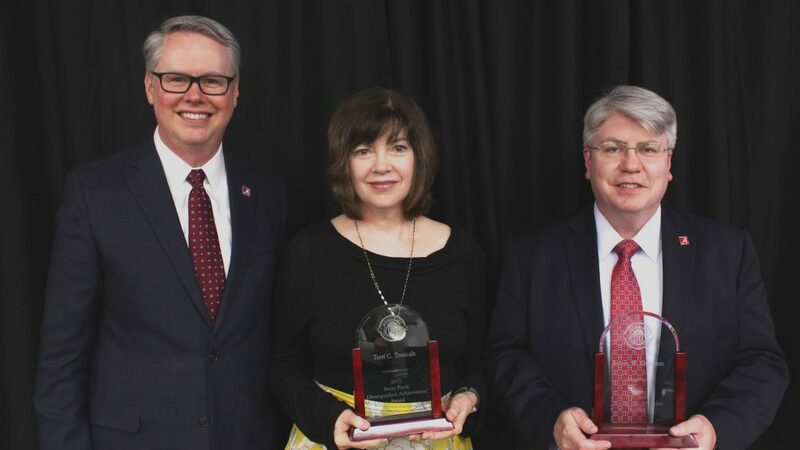 The College of Communication and Information Sciences (C&IS) at The University of Alabama prides itself on championing creativity and intellectual curiosity. This semester, C&IS launched the Grant Writing Institute designed to position faculty for success in writing grant application proposals and securing grant funding. The Grant Writing Institute is designed to provide participants with the tools necessary to complete an application for research funding and submit the application to a federal or state agency or a foundation within 12 months of the start of the program. Led by Dr. Kim Bissell and Dr. Anneliese Bolland, the program works through a partnership between the Institute for Communication Research (ICIR) and the departments within C&IS to provide a semester-long course release for each of the participants. Over the course of the semester, participants meet for six scheduled sessions designed to lead them through the process of writing and submitting a grant application. The sessions cover topics such as how to justify budgets in grant proposals and how to prepare for a meeting with a program officer from a funding agency. Each session assigns specific tasks to be completed by the next session to assist the participants with staying on schedule. Members of the Grant Writing Institute board a plane to Washington, D.C. to meet with grant program officers. 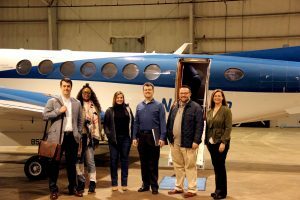 As an added bonus, The University of Alabama Office of Proposal Development reserved one of its flights to Washington D.C. specifically for the C&IS grant writing fellows to discuss their grant proposals with program officers. According to Bissell, these meetings provided valuable feedback to grant writers and helped secure advocates for their grant when the time comes for the review panel to award funding. In addition to teaching about the grant writing process, the program guides all participants through submitting their own grant. By the end of May 2019, each participant will have a finalized grant application in excess of $100,000 for review, with a submission deadline of December 2019. Dr. Robin Boylorn (Communication Studies), $150,000 from the National Endowment for the Humanities to hold a summer teaching institute on the stories of the South. Dr. Becky Britt (Journalism and Creative Media), up to $500,000 from the National Institute of Dental and Craniofacial Research to investigate oral health disparities in rural communities and develop an oral health intervention to improve adherence to health practices and education about the role of oral health. Dr. Brian Britt (Advertising and Public Relations), $400,000 – 600,000 from the National Science Foundation to study internal processes of organizational evolution. Dr. Leah LeFebvre (Communication Studies), $100,000 Mind & Life Prosociality, Empathy, Altruism, Compassion and Ethics Grant to identify mindfulness and compassionate strategies used to reduce suffering from ghosting, a contemporary breakup strategy that ceases communication in an effort to withdraw access through emerging media. Dr. Scott Parrott (Journalism and Creative Media), $200,000 from the National Science Foundation to launch a science communication program for undergraduate students. Dr. Matt VanDyke (Advertising and Public Relations), up to $500,000 from the National Science Foundation to investigate public and decision-makers’ perception of drought, and to develop an interactive decision-making tool that forecasts drought and water availability. 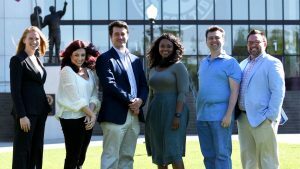 UA’s College of Communication and Information Sciences’ faculty and students conduct cutting-edge research that creates knowledge and provides solutions to global issues across the full communication and information spectrum. To learn more about the College’s research initiatives, visit cis.ua.edu/research. The following is a repost from UA News Center featuring APR senior and 2018 Susan Colvin Prize winner, Brooke Bailey. Brooke Bailey, a UA public relations major, cites a home-towner’s help in sparking her career choice. That professional located in Bailey’s native Daphne, Alabama? Jennifer Jenkins, president of JJPR, a public relations agency. The alliterative effect found in their names isn’t their only commonality. Bailey, who interned at JJPR in the summer of 2017, and Jenkins, a University of Alabama alumna, also seem to share a mutual admiration. Jenkins also cites Bailey’s professional drive. Jenkins leads an award-winning agency; Bailey, though still a student, oversees 40 student art directors and copywriters in her role as assistant creative director with UA’s Capstone Agency, a student-run communication firm. She was named recipient of the Susan Colvin Prize, awarded annually to the College of Communication and Information Sciences’ most outstanding student. Jenkins, a Fayette, Alabama native, also knows a thing or two about looking up to role models. She says it was her own hometown hero, Jackie Waldon, a PR professional at the local hospital, who first showed her the potential a path in public relations offered when she was a teenager. “Jennifer is one of the most amazing women I have had the opportunity to know,” Bailey says of her mentor. She describes Jenkins’ work ethic as inspirational and says she successfully balances her professional drive alongside commitments to family and community. Bailey is a recipient of the Susan Colvin Prize, awarded annually to the College of Communication and Information Sciences’ most outstanding student. During her internship, the UA student helped develop social media content calendars for the firm, wrote blogs for its clients and weighed in on PR issues during the firm’s weekly staff meetings. President of the UA College of Communication and Information Sciences Ambassadors, Bailey is scheduled to graduate in May. With minors in studio art and computing technology and applications, Bailey says she wants to focus on the visual side of public relations. She is applying for fellowships and positions with some of the larger public relations agencies in Washington D.C., Chicago and New York. Bailey says it’s the variety of opportunities, both big and small, that she relishes most about her chosen profession. And, you never know who you will encounter along your path who might prove pertinent to your profession. C&IS senior Alana Doyle is the PRWeek Public Relations Student of the Year. PRWeek has named Alana Doyle, a senior in the department of advertising and public relations (APR), its Public Relations Student of the Year. 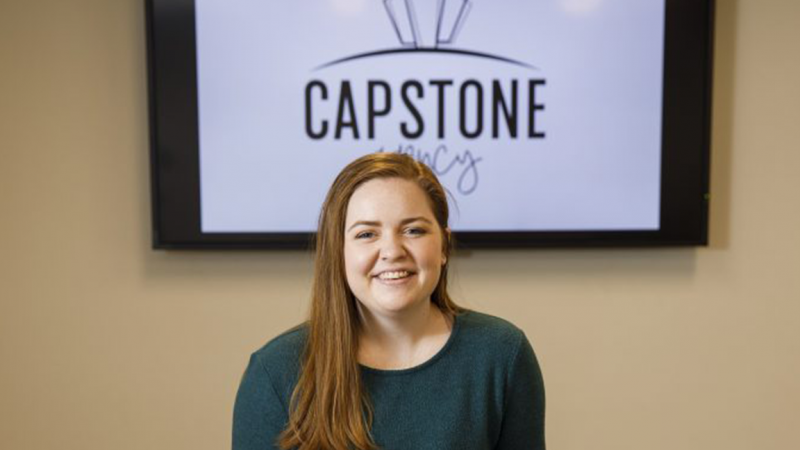 Doyle was one of two students from the College of Communication and Information Sciences (C&IS) on a national shortlist of only five students selected for the award, along with Gabby DiCarlo. The winner was announced on March 21 in New York City at the annual PRWeek Awards. 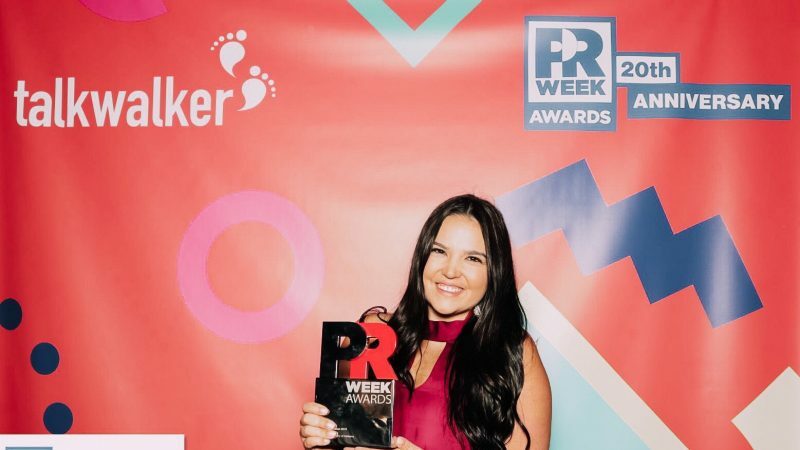 Doyle, of Scottsdale, Arizona, is the University’s second PRWeek Student of the Year winner. Maret Montanari received the Public Relations Student of the Year in 2018 and Katie Gatti was runner-up in 2017. This year’s campaign prompt challenged applicants to create a campaign for Levi Strauss wide-leg jeans that targeted Gen Z consumers. Doyle’s campaign, #ComfortIsBack, suggested that comfort was the way to the Gen Z consumer’s heart and that social media influencers on platforms such as TikTok could serve as brand ambassadors showcasing the new fit of Levi jeans. 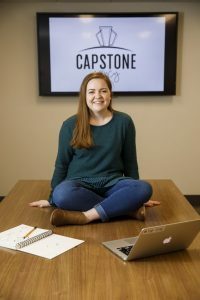 Doyle serves as a senior copywriter for Capstone Agency, UA’s nationally affiliated, student-run, integrated communications firm and was awarded the agency’s Star Client Team Member Award, Star Department Member Award and the Copywriting Challenge Award last year. For the last two years, Doyle has also served as Co-Vice President of Projects on the Board of the student chapter of PRCA (Public Relations Council of Alabama). She was also selected as Viacom’s only intern to interview celebrities on the 2018 VMA’s red carpet. As graduation approaches this spring, she is determining her career aspirations, but she is interested in working in media relations or brand strategy for a global agency. 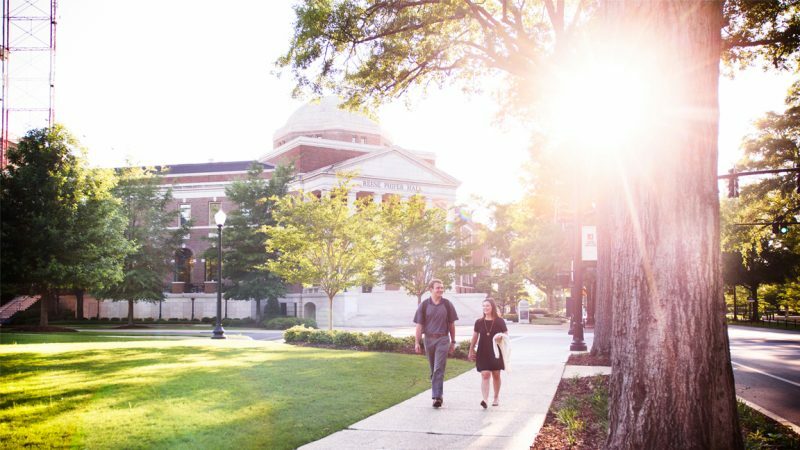 The Department of Advertising and Public Relations is a part of the College of Communication and Information Sciences at The University of Alabama. For more information about the College, please visit cis.ua.edu.